What it means and why it matters? This metric shows how much money your organisation spends to acquire each new customer. The aim is to have a low average CAC, which shows that it costs a low amount of money to get new customers to buy your products or services. If this number is increasing, it shows that the money you are spending to try and acquire new customers is increasing, and there could be an issue with how well your marketing and sales teams are performing. However, a rising CAC can be ok provided that you are acquiring high spending customers. Be careful when looking at CAC in isolation because if you don’t also look at customer spend it can be misleading. Metric 2 explains how to analyse this. The ratio of CLV to CAC looks at the lifetime value that one of your new customers is worth. This is an estimation of the total lifetime value that the customer brings to your organisation compared with what it cost you to acquire them. The higher your CLV/CAC ratio, the more ROI your sales and marketing efforts are delivering to your company’s overall profits. However if this number is too high, it could mean that you should be investing more money in acquiring new customers. Making this investment in marketing and sales campaigns will reduce your CLV:CAC ratio, but could help accelerate your company’s growth. This metric looks at the specific impact of your marketing team’s activity when acquiring new customers. It looks at how many new customers originated from marketing activity against how many total new customers were acquired in total. For example, a new customer that first came through your website would be a marketing-generated lead, whereas someone who walks straight into your shop, or calls you directly, is not a marketing-generated lead. The perspective on this metric heavily depends on the structure of your organisation’s sales and marketing teams. An organisation with an internal lead-focused marketing and sales teams may be looking at a higher ratio of Marketing Originated Customers than a company with an outsourced marketing and sales team. 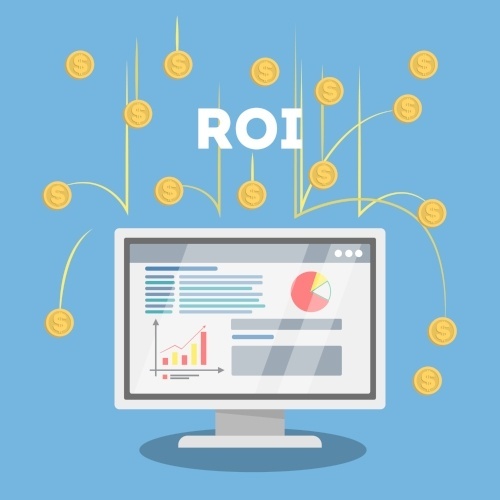 By using the above marketing metrics in their internal reporting, senior marketers can have peace of mind that they can effectively communicate a quantifiable ROI. If you want to discover more about what Blue Sheep can do for your business, contact us today and for your free Money Map Report.